Make light work of thick, dry grass & reeds. Suitable for a range of STIHL models, this is a steel, 230 mm blade with four teeth, perfect for tackling tough tasks. 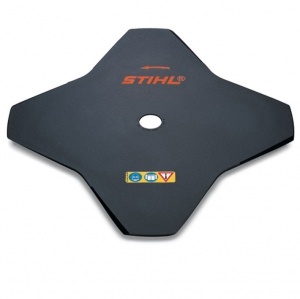 Model 40007133801 is for STIHL models FS 360 to FS 490 (excluding the FS 460 C-EM K). Please specify the blade required when ordering.